Choose the tray finish, tray form factor (ATX or EATX - both compat with mATX), back panel size (120mm or 2x80mm [used with duality and twice7 backs]), and whether or not you want the optional security flange. Are you modifying a G5 MAC to a PC? 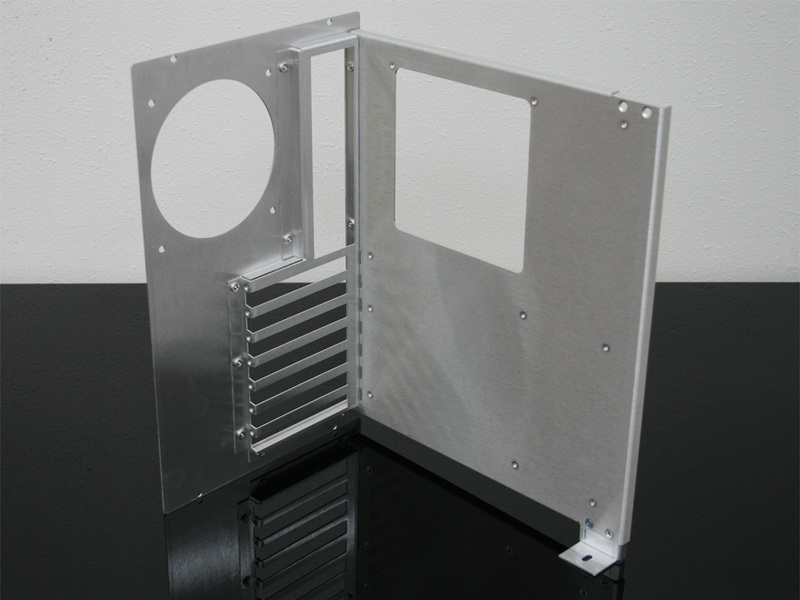 Make sure to order with the 2x80mm back panel! The 120mm back panel is too wide to fit the G5.